Now, Sprint wants to stop AT&T from damaging the 5G brand while it builds a "legitimate early entry into the 5G network space." Like every other network carrier, Sprint has been working on a wide-scale 5G network that has previously been said to launch in late 2019. True 5G networks will grant users faster data speeds and lower latency on compatible smartphones and other cellular devices. For Apple, the company won't release an iPhone that can connect to 5G data networks until at least 2020. While other companies will begin supporting 5G in smartphones in 2019, Apple is delaying support due to expected issues with early 5G launches, like poor coverage. Apple took the same strategy during the launch of 3G and 4G, the two previous generations of high-speed mobile services. I remember ATT also taking heat back in the day for pushing HSPA+ as “4G” before it was LTE. They SHOULD be sued for this crap by every carrier in America! The sleazy bastards have been out of control for far too long anyway. I remember ATT also taking heat back in the day for pushing 4G before it was LTE. Yeah remember they got the only “magical” iPhone 4S with 4G. This is misleading customers and should be stopped. What's their actual 5G rollout going to be called then - 6Ge? What does even Sprint have to do with AT&T?! Can't they just mind their own business? It is, in fact, their business that they are minding. Sprint is a joke carrier and a joke company. What puzzles me most is, as Apple continually publicly say how good, honest, truthful etc etc they are to the public. 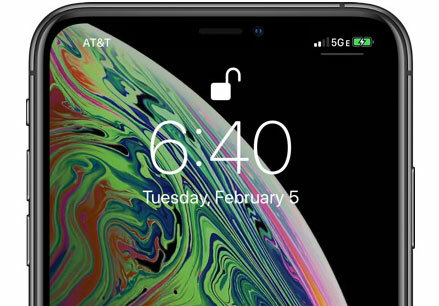 Why would they ever agree to allow this 5G logo to be displayed on their phone in the 1st place, when they know it's sold purpose is to mislead less knowledgeable customers?